Wat is dit voor site? Wij zoeken de goedkoopste boeken op internet. 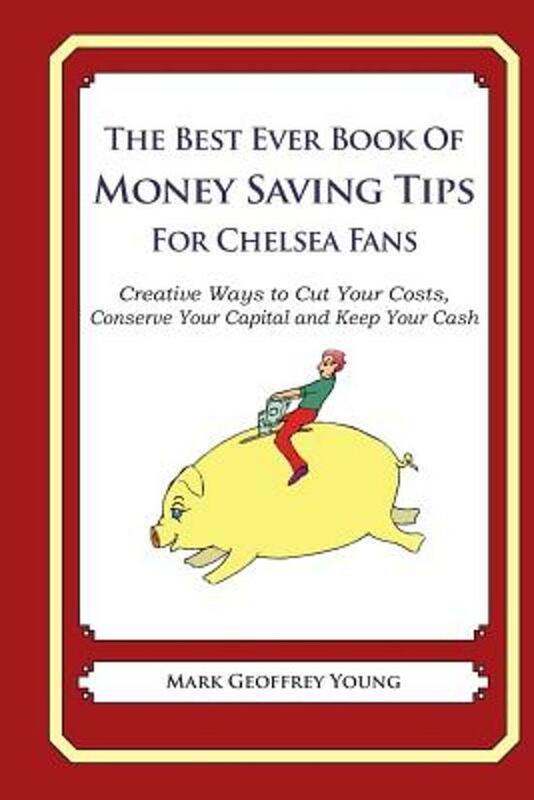 The Best Ever Book of Money Saving Tips for Chelsea Fansvonden we het goedkoopst op Bol.com voor €17.99. We hebben gezocht in nieuwe en tweedehands boeken. Rechtsonderaan de pagina kan je het boek direct bestellen	via Bol	.com. The Best Ever Book of Money Saving Tips for Chelsea Fans: Creative Ways to Cut Your Costs, Conserve Your Capital And Keep Your Cash; is the ultimate guide to saving money and getting rich quick. Filled with the craziest, funniest and most ridiculous money saving tips you can imagine, this humorous, groundbreaking resource shows you how Chelsea Fans waste money and provides you with everything you need to transform your life. The Best Ever Book of Money Saving Tips for Chelsea Fans is filled revolutionary tips that even the tightest Tightwad would have trouble coming up with. Bright ideas include: • Hanging out your dental floss to dry so you can reuse it later • Finding God to reduce your household expenses • Filling your Thermos at work to reduce your water bill • Fasting to reduce your food costs. Other tips include: • Cutting your bathroom costs by 50% • Changing the perception others have of you • Making your family grateful for the things they have • Getting others to help you save money • Reducing your expenditure on food and other necessities. The savings in this book are so extreme; most Chelsea Fans won’t be able to implement them. But for those that do, they’ll be able to recover the cost of this book after just a few pages. Ask yourself: Are you a cost-cutting warrior willing to make the ultimate sacrifice to save money, or are you a spendthrift Chelsea Fan who wastes money?